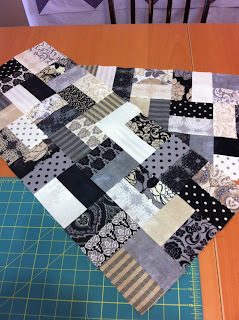 Something a little more modern - just a few more rows to sew on & then find a fabric for backing. A couple table runners from a charm pack of "Little Black Dress" by Moda - stunning fabrics, I wish I had some yardage of these! 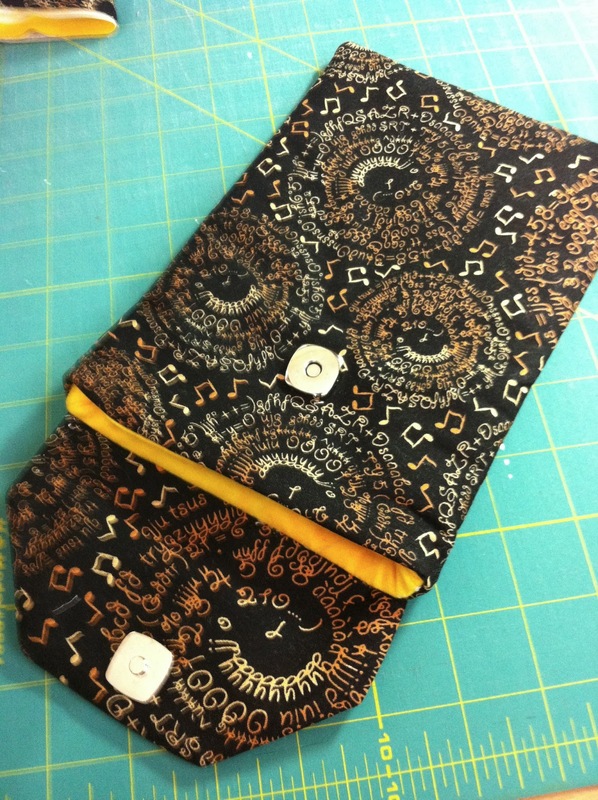 A iPad mini case for my landscaper son. I don't like the placement of the magnetic snap and the case is a little tight for use with the cover that comes with the iPad mini, but it should loosen up with use. I will try again as these little covers aren't that difficult to make! Sewing is probably going to take a bit of a backseat over the next couple weeks as we clean up from the winter and get the yard ready for spring and summer! Love all of these,especially the table runners! Love the big, bold chevrons. 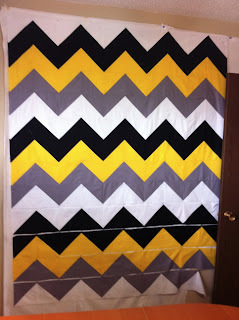 Love the zigzag - great colors!